Recently I have transferred the CLog software to my GitHub repository. I’m currently centralizing my code at GitHub since I wanted to get rid of sourceforge.net (my previous repository for CLog) and prefer GitHub nowadays. Currently I don’t offer any packaged versions (rpm) any more. However, the spec-file is still included so you can build your own rpm package. 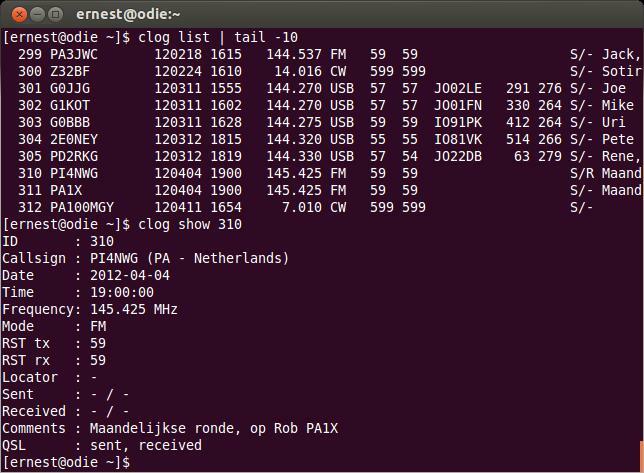 CLog is a logbook for amateur radio, fully operated from the linux command line. 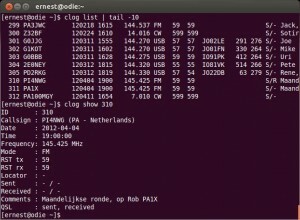 All output can be piped to other commands, e.g. grep, sed, awk, lp. People who merely use the command line on UNIX/Linux will love this tool, as well as visually impaired. Recently CLog has reached version 1.0, which means the basics are finished. I still have some feature requests to fulfil, and of course your feedback is always welcome.